RuneScape: Idle Adventures is an intriguing fusion of genres being developed by Jagex Games Studio (creators of RuneScape) and Hyper Hippo (Creators of AdVenture Capitalist) that looks set to offer a miniature idle clicker RPG experience where players can complete a RuneScape themed adventure in just a few moments every day. 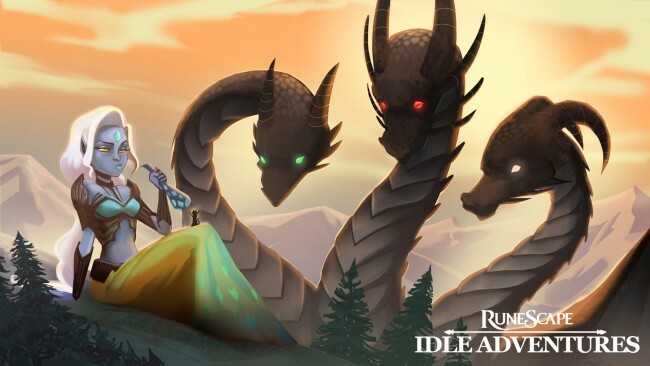 Coming to Desktop and mobile platforms, RuneScape: Idle Adventures will allow players to take on the role of a new RuneScape Hero and embark upon an adventure filled with monsters and characters from the RuneScape universe. Good idle clickers are always ridiculously addictive, but a new idle clicker from the AdVenture Capitalist devs that draws from the rich lore of the RuneScape series? People are going to have to go to rehab to kick that habit!